Mid-way through 2015 we received a call from one of our long-standing and trusted friends, who is also an avid collector of gems. “I’ve found something really interesting I think you can work with,” he said. In gem circles, this meant he had probably found something truly spectacular. If there were a gem that epitomizes the work that we do it would be the result of this phone call. 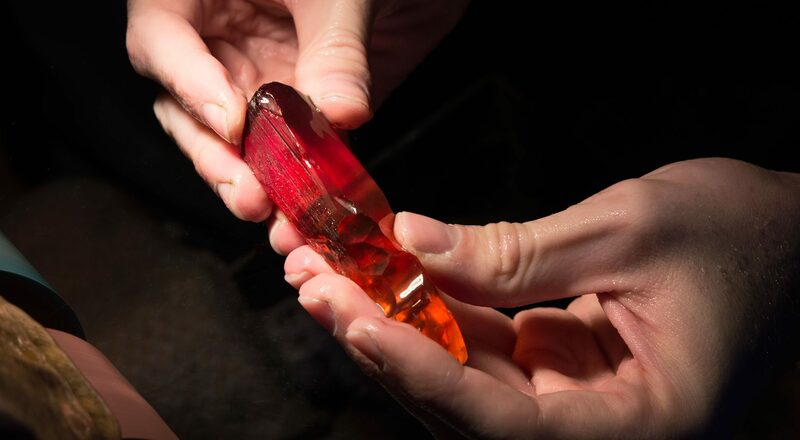 The rough stone our friend had was Imperial Topaz. It was a remarkable find in terms of its size, its clarity, and its color – the rare orange-red – that absolutely captivated us. 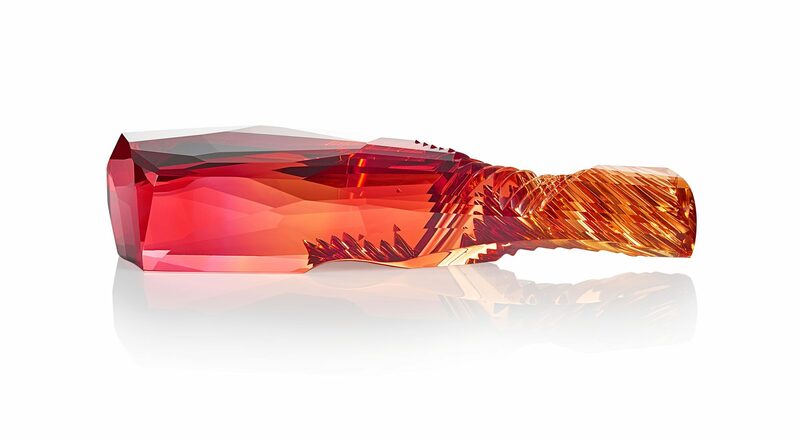 Its depth and breadth of color is what led to the name we bestowed upon it – The Imperial Flame. As with many of our gems, the process began many miles away in the mines of Ouro Preto in Brazil, when this family friend contacted us. Still, it took months of careful consideration before we decided on its purchase. Principally, one of the challenges was to keep the gem intact. It was no mean feat. 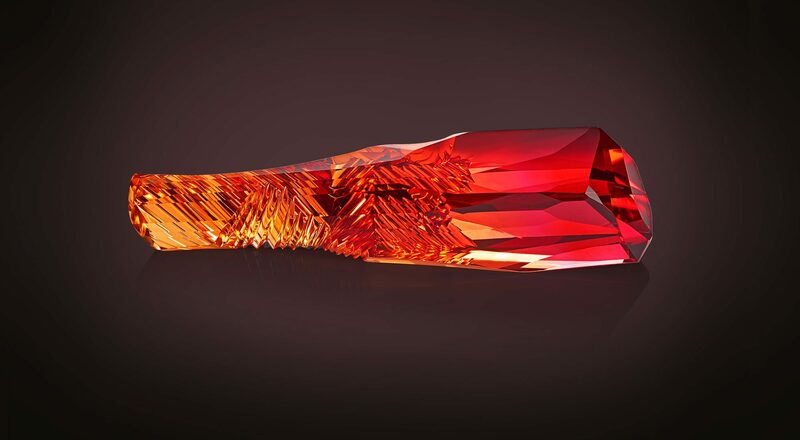 Imperial Topaz is very difficult to cut, it has a high tension, and a wrong move can mean a cracked crystal or worse, a rough stone reduced to dust. 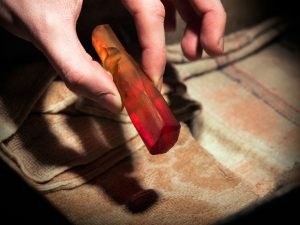 We could have broken the crystal into three parts, to make the cutting easier, but then the majesty of the gem would have been lost. We owed it to the natural beauty of the gem to keep in intact. This cut would not have been possible without the skill and techniques handed down through the generations of our family. 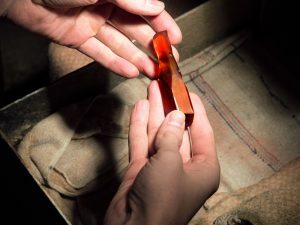 Whilst Alexander underwent traditional gem-cutting education, he has taken his own course in terms of how he cuts, allowing the natural beauty of the gem to dictate how he cuts it. Often this can mean inventing new tools for the purpose as a way of truly uncovering the beauty in the rough material. 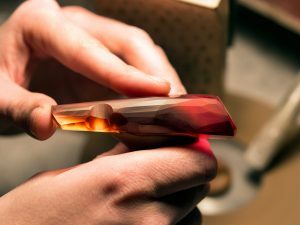 Topaz of this kind is hard to match in beauty, its natural colors, from flaming red to burnt orange and golden yellow make it truly unique. To bring out the depth of the colors in their full glory takes real skill and we knew from the start that this would be a piece of the century, an awe-inspiring gem worthy of deep respect. 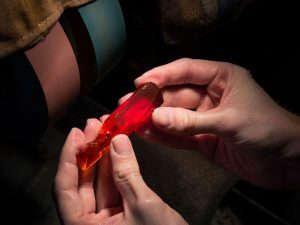 The flaming red color of the main part of the stone is rare in itself, but adding to the beauty is the sheer range of colors and their intensity. The finished product, which is both a sculpture and collector’s item, has been certified as ‘Rare’ by the GIA (Gemological Institute of America) – it is the largest stone of its quality known anywhere in the world. 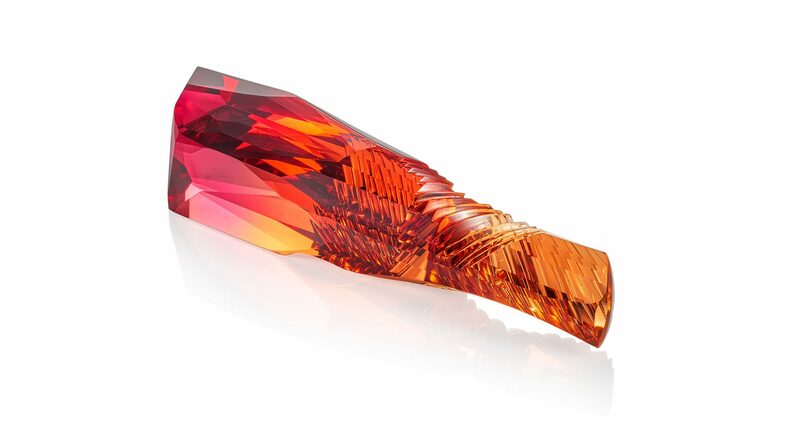 Read more about the Imperial Flame on the GIA website.